If there was ever an online-only multiplayer game that’ll win over a solo player such as myself, I wasn’t expecting it to be Final Fantasy XV‘s multiplayer expansion titled Comrades. My money would’ve been on an online title that’s packed with all the bells and whistles such as Monster Hunter: World, but I always end up overwhelmed by either the myriad of options available or quests that are meant for multiple players. On the other end of the spectrum, games like the Call of Duty and Mass Effect series offer multiplayer modes, while arguably enjoyable, are largely inconsequential to the single-player campaign. Comrades is a different kind of online multiplayer experience, to say the least. In all honesty, it feels more like a single player DLC expansion that sprinkles elements of customization, grind, and online co-op. There’s also a surprising reprieve of micro-transactions and loot boxes since the expansion was released in November 2017. It’s entirely possible, if not preferable, to complete the campaign solely with AI comrades. Comrades isn’t meant to compete with online behemoths such as Destiny or Monster Hunter, but it’s a great example of how a multiplayer mode can be more than just an afterthought to a single-player campaign. The setting of Comrades coincides with the events of the FFXV‘s main story during the final chapters. It also acts as a sequel of sorts to the tie-in CGI film Kingsglaive: Final Fantasy XV since the eponymous elite fighting force takes center stage with one of the film’s characters returning. Players create and play as a member of the Kingsglaive, Lucis’ elite soldier force, to help the region’s citizenry fight against the onslaught of Daemons besieging Eos. As a fan of the entire Final Fantasy XV narrative, it wasn’t difficult for me to be invested in advancing through the multiplayer campaign. Characters from the main game are featured prominently across hub areas. There are also quests where you team up or go against some familiar faces. If you want to see an example, check out this video if you’re not worried about spoilers. Square Enix added another kind of ‘quest’ later on wherein players can assume the roles of Noctis, Gladio, Ignis, and Prompto that explains how the quartet went from point A to point B in one of the final chapters. This makes me wonder how Square Enix will position Comrades as a standalone game given how the setting heavily intertwines with the main game. I’m pretty confident, however, that Square Enix would add a content update to the prologue to keep any newcomers up to speed. Moreover, another appealing factor of Comrades is the chance to experience Final Fantasy XV as your own custom character. I was pleasantly surprised with the number of customization options in the character creation screen. There’s an option to create a unique face from two ‘ancestors’ and refining it further with sliders. While you get to choose a ‘voice’ for your glaive, I haven’t actually heard it being used several hours in. There’s also quite a selection of outfits and accessories that can make a glaive truly your own in addition to some wacky pieces. As expected, I spent more than an hour perfecting my first character, though it’s possible to make changes at any time. There’s an inexplicable sense of satisfaction seeing my character contributing to the narrative alongside familiar faces. Aesthetics isn’t the only thing that makes your character stand out. The weapons in one’s arsenal during a given quest defines your strengths and weaknesses. One of the key aspects of Comrades is the ability to add buffs to weapons and eventually remodel if you satisfy specific requirements. Remodeling evolves the weapon into a new version that unlocks a rare buff and increases the level cap as well. Spells are also tied to a specific weapon and can only be used if it’s one of the 4 equipped. For example, I could have a Katana with high magic defense and Blizzaga equipped and a crossbow with Curaga and a bit of ballistics resistance. Yes, Comrades marks the return of spells that were absent in the main game such as Cure, Protect, Esuna, and others. Players are given this much choice since each enemy is vulnerable and impenetrable by different attacks. As a result, I constantly have to change my loadout depending on the types of enemies on a mission since it can make a huge difference during boss fights. There’s no class system that restricts you to a specific play style, but players are given an option to choose a birthplace or origin that favors different stats. Each avatar can have the same arsenal yet still have different stats and spells attached to each weapon. It’s not the most straightforward process but the rewards alone makes it all worthwhile. Crafting weapons can be intimidating yet rewarding at the same time. Everything aside, the fact that I can play through the campaign ‘alone’ is the main reason I continue to devote my time to Comrades. I can’t tell you how many times I’ve rage-quitted an online game because a quest was too difficult to complete solo with or without AI companions. Playing with random strangers almost always ends up being an uncoordinated effort with no healer in the party. Fortunately, Comrades ensures that it’s not dangerous to go alone. The AI companions that make up the rest of your party are surprisingly competent in combat. It also helps that the game somehow matches you with similarly leveled AI companions equipped with mostly different Sigils. For context, a Sigil is one of many special abilities that allows players to cast buffs for the entire party, area of effect barriers, AoE healing, multicast spells, and many others. I can always count on an AI companion to cast a barrier or cure spell at the most opportune times. The same cannot be said for random strangers you get paired up with. To be fair, it’s difficult to coordinate when voice chat isn’t available in-game. The good news, however, is that game doesn’t handicap you for progressing through the campaign alone. 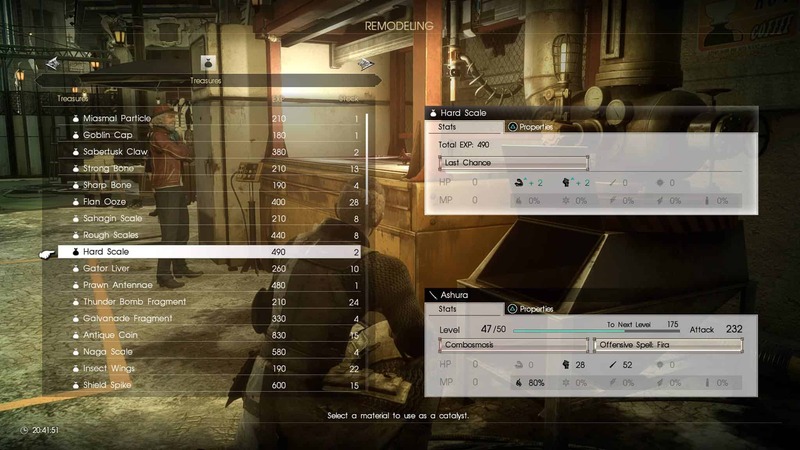 I’m just happy to have both options in Comrades when most games make you work twice as hard as a lone ranger. It’s refreshing to find an online multiplayer game that accommodates solo players as games evolve into a more ‘connected experience.’ Often times, online titles aren’t tailored towards players with an affinity towards narrative and solo playthroughs. Comrades, on the other hand, ease solo players into online multiplayer with optional co-op and a meaningful tie-in campaign. It’s also tremendously more appealing if you’re a fan of the FFXV Universe and can’t get enough of it. I’m hoping more games will follow suit in blending single-player and multiplayer elements into a unified experience. In the end, Comrades clearly shows that there’s room for every type of player, including solo players, in an online multiplayer dominated world.